What about all the pesticides and fertilizer they sprayed on them. That wound up in our drinking water. Irresponsible actions have serious repercussions. I can't believe this happened in my own community and I missed it! 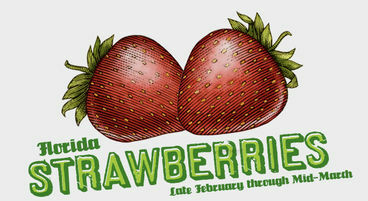 What a tragedy, I was lookingforeward to the Strawberry Festival this year too. Grow your own food as best you can. Obviously we can't trust the farmers. I can believe this is happening. One in Four American children suffers from hunger and these individuals are wasting good food. This should be penalizes!! Glad there were a few farmers who let people pick for the foodbanks , shame on the ones who did not ! Florida and California Strawberries Taste nasty compared to Ponchatoula Strawberries! They were his let him do what he wants. Wow, I think the other farmers should adopt the example set by the one farm that allowed residents and shelters to come and pick strawberries for free. Seems silly to do anything other than that. Best strawberries I've ever had in my life came from Loganville, Georgia, and it was a pick-your-own farm. I was really shocked to hear that ANY farmer in the USA would waste precious food like this, it's not right. I grew up on a farm in Michigan. You can't touch the crops when you receive insurance reimbursement for crop loss. You want to blame farmers, but it isn't the farmers' choice. This is insurance companies. It isn't that farmers are mean or anything. The crop was paid for by the insurance company and the insurance company owns the crop. I don't want to "blame" them, I don't want food being constantly wasted! It's immoral, unethical, and disturbing! Humans STEAL land from other species to farm it for ourselves constantly, and then this is what we do?! Unacceptable. im sure there are hungry kids that would have harvested that in a second if he gave them the chance. sometimes i think something is going very wrong in our western society. this is one of these moments. thanks for the info. Thanks for the post. This story is making headlines around the world. Why don't the farmers let anybody come in and pick as many berries as he/she can? This system of the berry farmers is close to the banks knocking down foreclosed properties because it was the cheapest thing to do. Farmers need to be a bit like everyone else--plan ahead better. The version I heard on local news was that the prices had dropped so precipitously that the cost of harvesting would have put the farmers in debt, so I'm willing to cut them a bit of slack. However, I second the suggestion that rather than letting them go entirely to waste they should have allowed locals to come in and pick them. Mary & Sylvia, I hear you. But Sylvia, residents who live near those farms had their wells sucked dry of water and now they must vacate their homes because there is no water to use in that water table, and I have a problem with that. Since when is it acceptable for someone to effectively say, "I am taking all these resources because I, of course, am 'earning a living' and that is more important than you simply living next door and having your share of the water. My needs for business come first before social responsibility to you." That's part of the problem and why many Floridians are angry, apart from the fact that edible food is going to waste. Yvonne's post reminds us that there were even *more* horrific waste of life going on in the past. If the farmers realized that the crops could not be taken to market and sold that way, then let local people come and pick the crop and ask them to pay per pound for what they pick (or something similar to that). That means the farmer will get some revenue and the food will not go to waste. All the arguments about crop insurance and not being able to pick plant crops simply encourages waste. If the insurance company states that in order to pay out for damage, I cannot "sell" the crop, fine. Then let local residents come and pick the fruit and use it to feed their families so it is not wasted. All this waste and hoarding is sickening and not socially responsible at all. Insurance be damned this is wasteful and stupid. We have children going to school hungry, what about the people in the Detroit and other states where there's high unemployment blight? Here in Utah our food banks are the lowest ever due to the need. This is inexcusable!!! I agree Pamela , the insurance companies shouldn't be this way ! It IS wasteful and stupid. Thanks for the post, I noted. The farmers need to be fined for playing such games. Get back at them and grow your own gardens and strawberries. They will probably be healthier for you and a whole lot cheaper. One really need to look at this in perspective. If today you got $20 per hr at your job and all of your expenses were based on getting $20 per hr and the all of a sudden all of the jobs in your area of the country, including your own, paid $5 per hr., what would you do? You need $20 but are only getting $5. I fully understand the farmers dilemma. The one farmer who gave it away for free to anyone wanting to pick it did a smart thing. He can cut some of his losses by not spending the money to pick and he gets rid of the blame game and the crop at the same time. If we ensured that our farmers got the price they need (yes that means some sort of price control which is not democratic), the wasting of food would be less prevalent.